The PDC team of retired ambassadors introduced them to tools, techniques, and strategies to conduct their jobs. 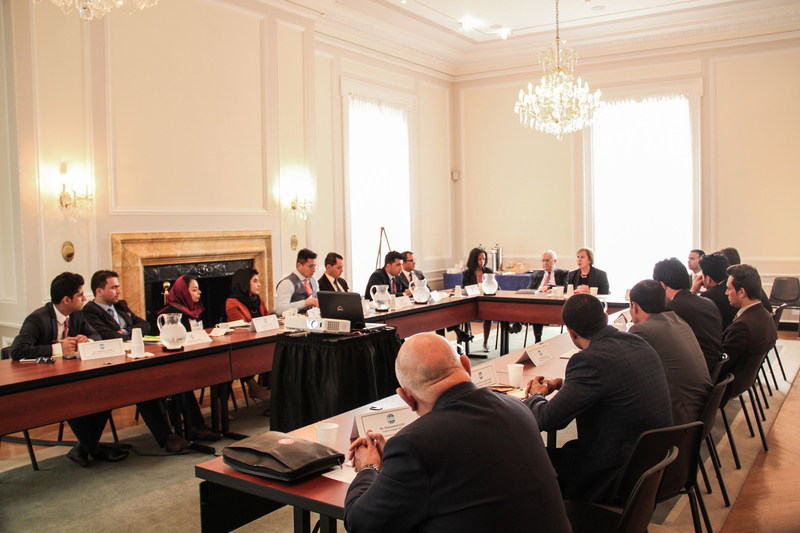 In partnership with the Public Diplomacy Council and the University of Maryland ICONS Project, Meridian is developing a two-week training program for 15 English-speaking early career Afghan diplomats, focusing on diplomatic craft and management skills. The program will provide delegates with a strong understanding of the diplomatic process and requisite protocol, including employing proper terminology and drafting diplomatic correspondence. Delegates will learn how to set and prioritize national goals and will become familiar with how to conduct strategic planning, policy formation, and embassy management, including budgeting and allocation of resources. 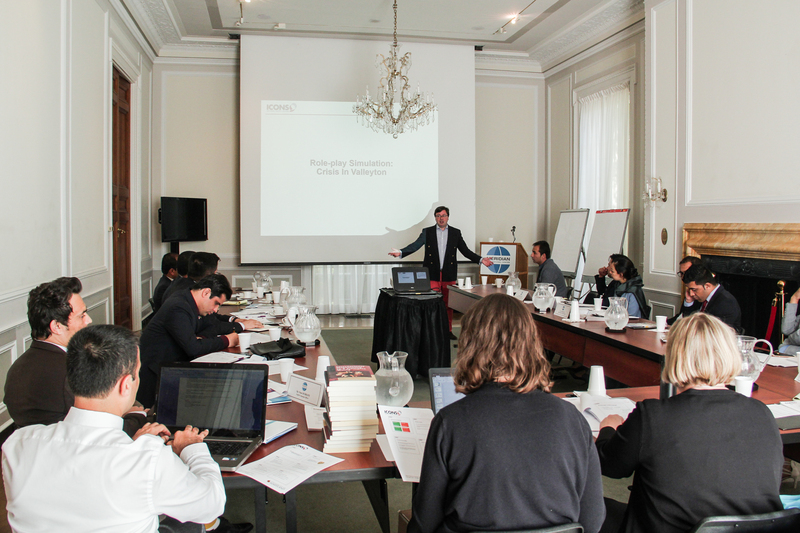 They will practice participating effectively in negotiations and will learn to work with local, regional, and international media, including the use of new media such as social networking. 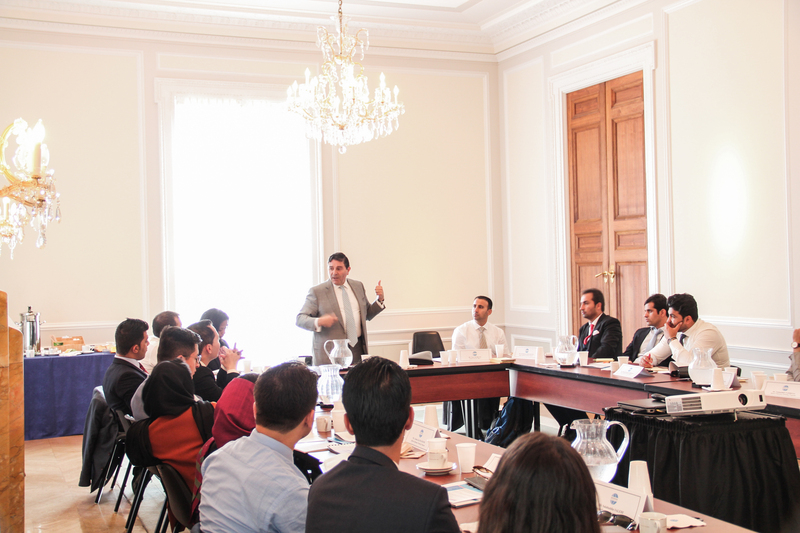 During their two weeks in Washington, DC, and New York, New York, delegates will examine these topics through classroom training, site visits, and meetings with professionals in the diplomatic and foreign policy fields. 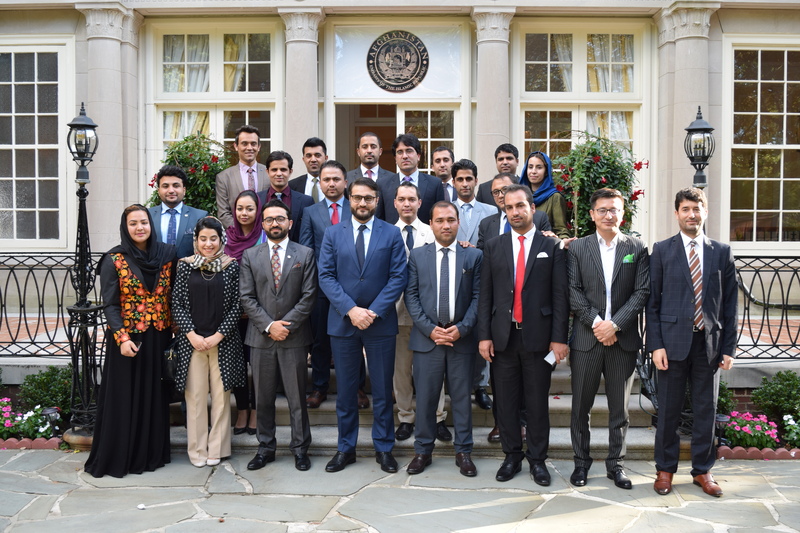 Tea with the Honorable Hamdullah Mohib, the Afghanistan Ambassador to the United States. 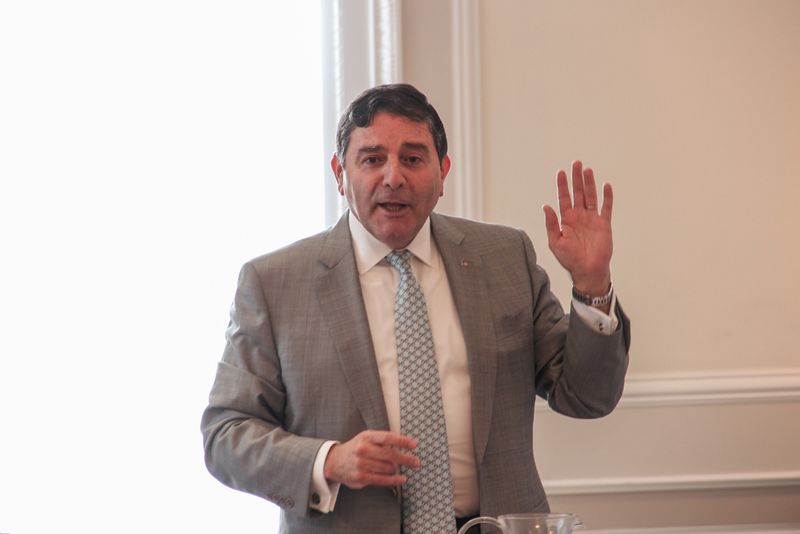 Engaging discussion with Akram Elias about the U.S. Federal System of Government. Brief meeting with Senator Marco Rubio’s senior foreign policy advisor to talk about the role of the Senate in foreign relations as well as U.S. – Afghan relations. 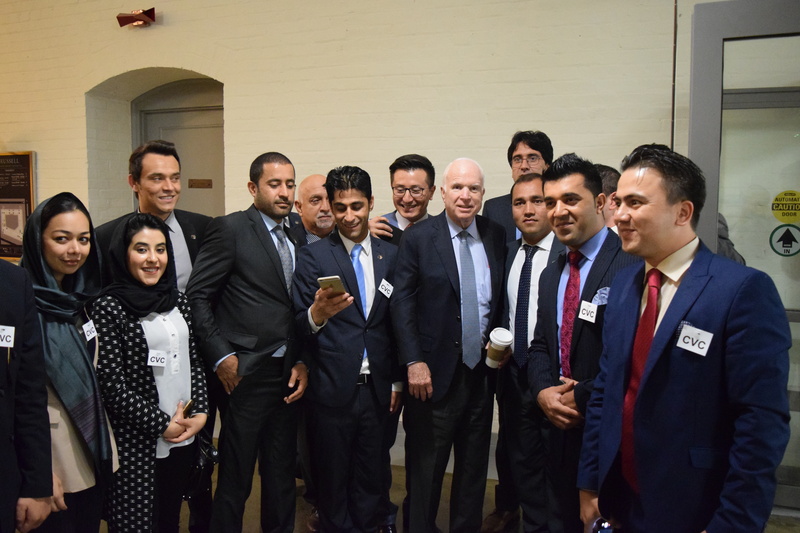 Surprising encounter with Senator McCain during their tour of the U.S. Capitol. 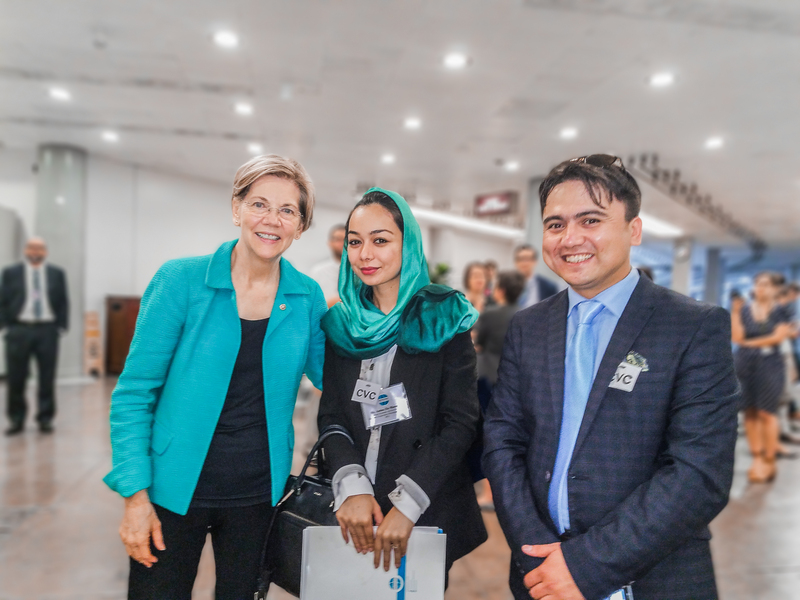 Amina Zia Massood and Solaiman Quadiry have a quick greeting from Senator Elizabeth Warren while in route to the House and Senate galleries.